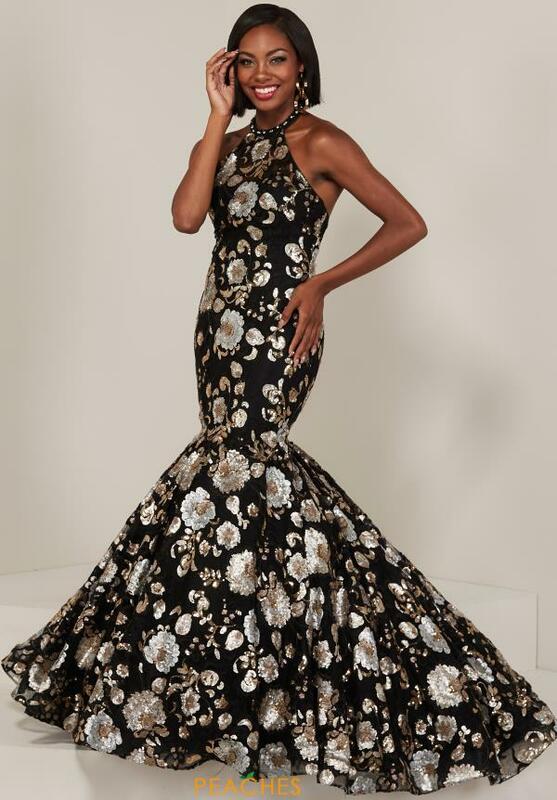 Show off your unique fashion sense with this stunning Tiffany dress 16366. The embellished dress has a high halter neckline and an open back. The entire dress is adorned with floral patterns made of sequins and delicate embroidery. The fitted bodice hugs your curves until about the knees, where if flares out into a dramatic mermaid skirt.